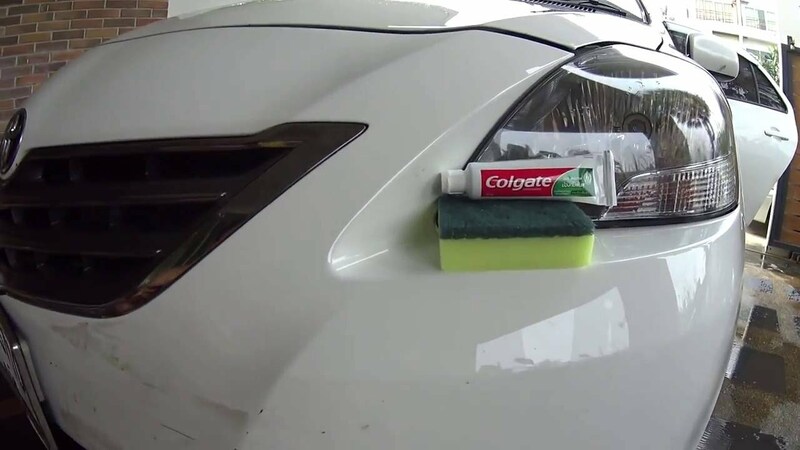 Having scratches or dents on your car can be tough to deal with, especially if you are one of those car lovers who can spend millions on your car, well not exactly millions but a huge amount of it. Car repairing can really empty your wallet and we all don’t want that. We often get scratches and dents on our car in some cases even the paint wears away, these things can be fixed though, for Instance when it comes to scratches there’s priming, coating and all that stuff. Want to know them elaborately and try them out yourself? Then keep reading. I know this sounds shocking, but yes you’ve got to make the scratch worse. Scratch till you’ve reached bare metal. Try using sand paper and it should work about right, another option can be a sand pen. You should have white spaces, make sure to loosen the paint and clean the edges. No, you cant miss this step or you’ll end up having a messy result maybe even a rust. This step is like the base for your coat. You get this in sprays and it comes in black, while applying this you need to be generous with time and spend at least 2 minutes spraying it and 10 minutes waiting for it dry. Be free to do as many coatings as you like, but make sure to leave enough space for your final coat. As expected, this is the part where you will have to apply paint to your car as the final coating. There usually are paints especially for cars; choose the color of your car, that goes without saying obviously you aren’t going to coat black paint on a red car right? After the paint has dried and your satisfied with its hue go ahead and apply it’s final coating; the shiner or the touch up paint. This will add the luster and that’s it your done! Tip: Ever tried using toothpaste as an alternative? Believe it or not it works quite well. Even though, it’s a great alternative, there are still some circumstances under which you can use toothpaste. If the scratch hasn’t fully penetrated the paint then toothpaste is advisable. Take a damp cloth with some whitening toothpaste and rub it over the scratched area. To see if the scratch isn’t deep try the nail test. If you can grab the paint with your nail then you’ll have to go through the long way..
Make sure the scratch is clean because you don’t want to end up having dirt and other particles in your paint right? It’s simple, toothpaste is known for the repair of uneven surfaces and even’s them gradually, it’s like sand paper but avoids any scratches. 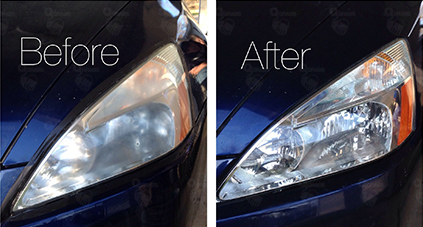 Toothpaste is great for clearing the headlights too, just clean them first, apply, wipe and there you go! Now you know the solution to this frustrating problem, any time you get a scratch; you know what to do!